Home price growth has decelerated to its slowest pace since 2015. Standard & Poor’s said Tuesday that its S&P CoreLogic Case-Shiller national home price index posted a 4.3% annual gain in January, down from 4.6% a month earlier. It also marked 10 consecutive months of decelerating price growth. The 20-City Composite posted a 3.6% annual gain, missing analysts’ estimates of 3.8%, down from 4.1% in December. The slowdown in price growth was more pronounced in cities that had until recently seen record annual gains. For instance in Seattle, annual price gains dropped from 12.8% to 4.1% from January 2018 to January 2019 and San Francisco saw annual price increases shrink from 10.2% to 1.8% over the same time period. Seattle had led the 20-City Composite until Las Vegas dethroned it in June as the hottest city based on home price growth. Vegas led the 20-City again in January, recording a 10.5% annual gain. “In 16 of the 20 cities tracked, price gains were smaller in January 2019 than in January 2018,” said Blitzer. 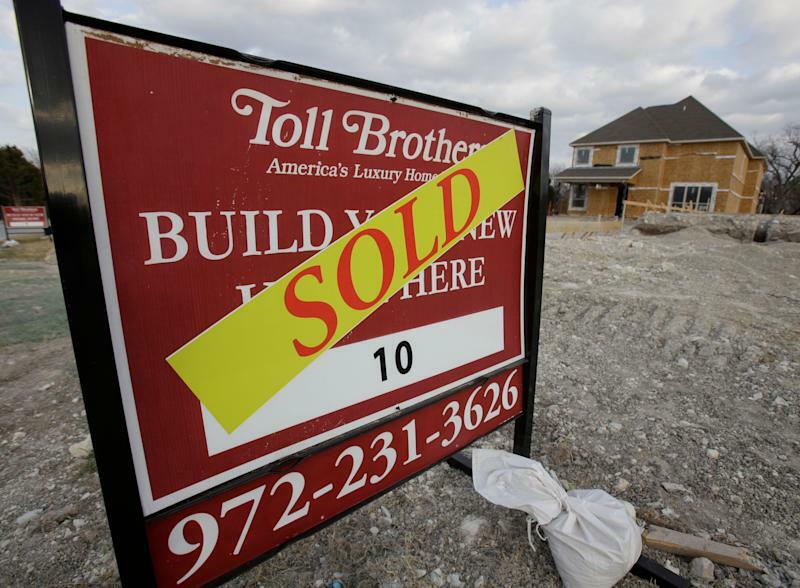 Separately, Tuesday morning the U.S. Commerce Department reported that U.S. housing starts fell 8.6% to 1.16 million units last month, missing analysts’ expectations of 1.21 million and below the seasonally adjusted 1.27 million units in January. Housing permits, which are a sign of future housing activity, fell 1.6% to an annual rate of 1.30 million. Rising labor costs and a tight construction labor market appear to be putting pressure on builders. But there are signs of hope that the housing market may be gaining some momentum after a sluggish 2018. Existing home sales in February rose 11.8%, reaching a seasonally adjusted annual rate of 5.51 million from a month earlier, according to the National Association of Realtors. The activity was fueled by increased wages and low mortgage rates. In fact, mortgage rates have hit their lowest levels in a year and are expected to remain at low levels as the Federal Reserve recently signaled that it has no plans to raise rates in 2019. At the beginning of this year, home builder sentiment also improved. In March, the National Association of Home Builders/Wells Fargo Housing Market Index was unchanged.